First up is the Nourish and Soften Pure-Sugar Face Scrub. 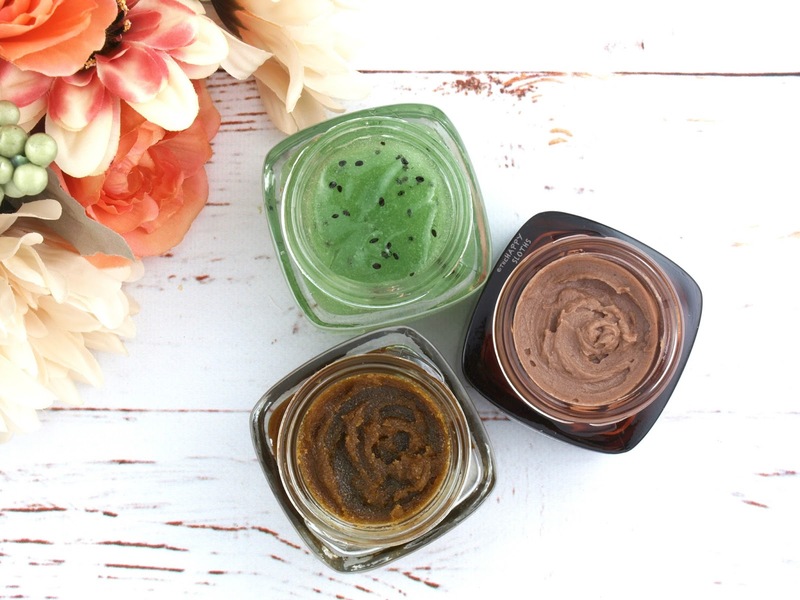 Made with coconut oil and cocoa butter, along with a dash of finely crushed cupuaçu seed, this is a viscous sugar scrub that takes on more of a creamy texture. The formulation smells really yummy and sweet and while it is quite buttery, the mask is still scrubby. The nourishing ingredients leave the skin super soft and supple so I think this would be perfect for those with dry skin. There is a bit of a residue but it's not greasy or heavy. 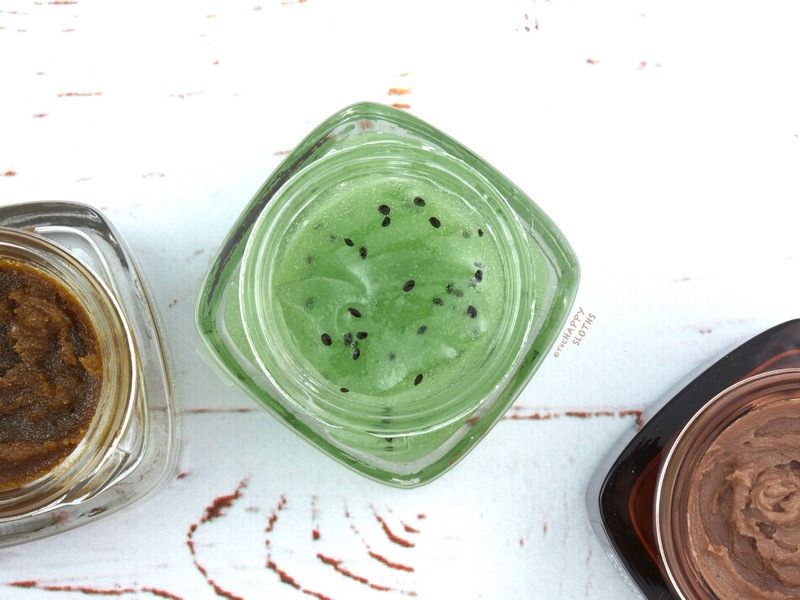 Next up is the Purify & Unclog Face Scrub made with real kiwi seeds. This one has more of a thick gel texture and it has a very strong fragrance. Out of the three, this is my least favorite one. Not only is the smell very overwhelming, the formulation is also not scrubby enough. Unless you apply it on dry skin (as per the L'Oreal's recommendation, but I like using my scrubs in the shower), the scrub doesn't provide enough exfoliation. 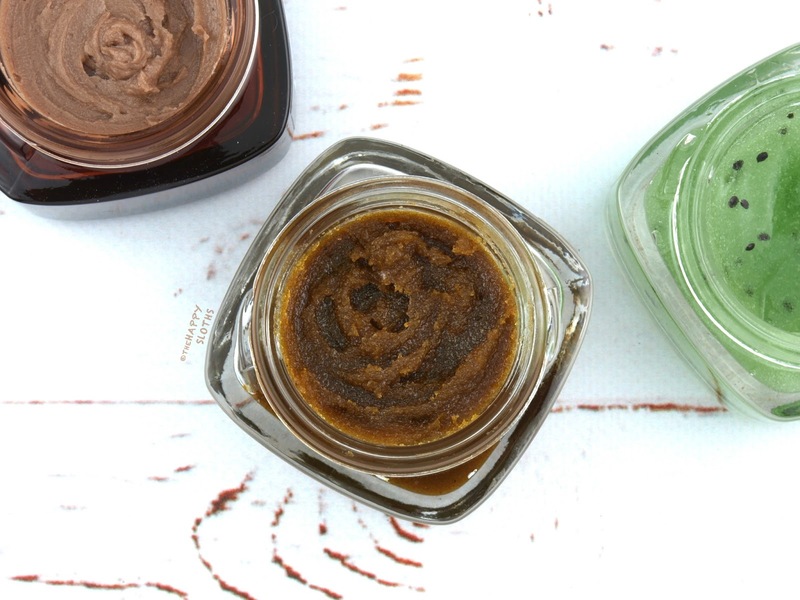 Last but certainly not least is the Smooth & Glow Pure-Sugar Face Scrub. Hands down my favorite out of the three, this mask is made with finely ground acai (in addition to the sugar particles), grapeseed oil, and monoi oil. In terms of scrubbiness, it is the most effective. The sugar particles exfoliates well but they are fine and non-abrasive. The formulation is packed with just the right amount of sugar and it leaves the skin so smooth and moisturized. The formulation reminds me a lot of the Fresh Sugar Face Polish but the L'Oreal version is a little more sugar-rich. 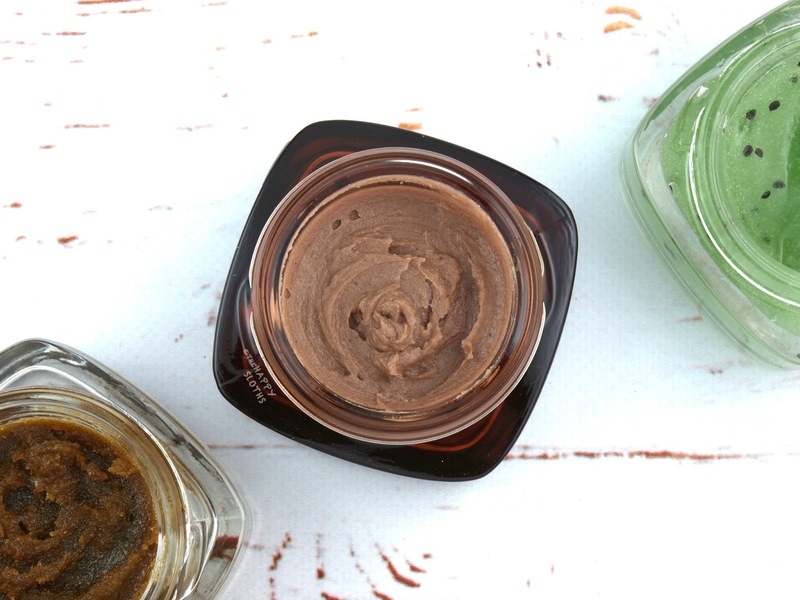 If you love a good face scrub, definitely give this one a try! 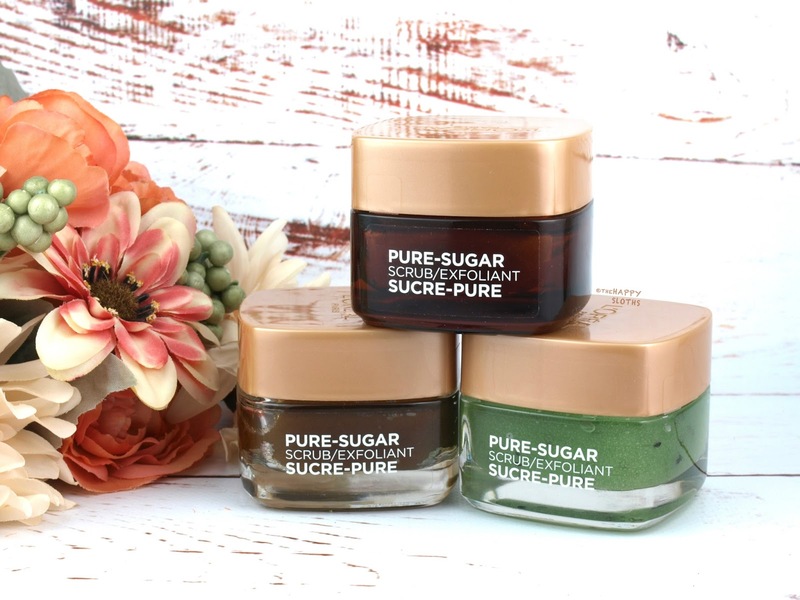 The L'Oreal Pure-Sugar Scrubs are available February 2018 at Canadian drugstores, mass market retailers and amazon.ca.